Even though Hydra is an easy day trip from the port of Piraeus, which is near Athens, it is also a great place to stay for a few days. It remains a relatively quiet escape because cars aren’t allowed on the island. 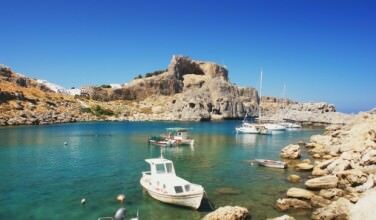 Also, even though Hydra is a small island, there are still plenty of things to do! Whether you’re exploring one of the island’s beaches, experiencing the culture, or learning about its rich maritime history, the island has everything you need for a great vacation – without the tourist crowds. There is no airport on Hydra so your only option is to take a ferry. 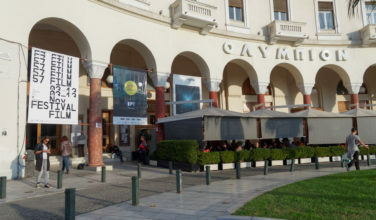 The good news is that it is a short ride from Piraeus, Greece’s largest port. Since it’s so close to Athens, you actually have a choice as to whether or not you want to visit for the day or stay for a longer period of time. 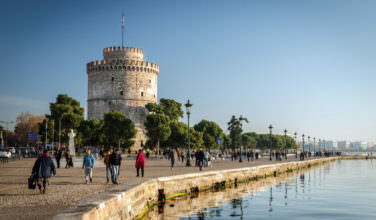 Ferries depart on a regular schedule, and it’s also part of the itinerary for the popular “Three Island Cruise” tour that departs from Piraeus. Once you arrive at the island, you will notice that there are no cars. You’ll notice that there will be donkeys waiting to take you to your hotel. It’s quite a sight! The streets are filled with donkeys carrying both luggage and people. Of course, you could always walk to your hotel. The donkey, however, is the more unique of the two options. 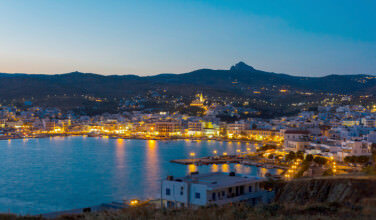 Your best bet is to find a hotel in Hydra Town, which is right at the port. Hydra Town is fairly small, but it is the biggest village on island. There are plenty of opportunities for shopping, dining, and there is even a great nightlife scene. If you’re interested in Hydra’s history, you’ll want to be sure to visit the Hydra Museum. While wandering the streets, you’ll also notice the mansions, which housed the island’s wealthy. There is also an impressive Orthodox Christian Cathedral that you can view. In order to reach most of the beached on Hydra, you’ll either need to walk or take a water taxi. If you want a quick beach visit from Hydra Town, your closest bet is the Spilia Swimming Rocks. Though much of it is surrounded by concrete platforms, the water is clear, clean, and easy to swim. Not only that, but there are opportunities to eat and drink there while overlooking the water. If you want to enjoy a white sand beach, the Four Seasons Beach, located on the other side of the island, is your best bet. There’s a thriving tavern near the water and the beach is easily reachable by boat. If seclusion is what you want, the beach at Ayios Nikolaos is your best option. 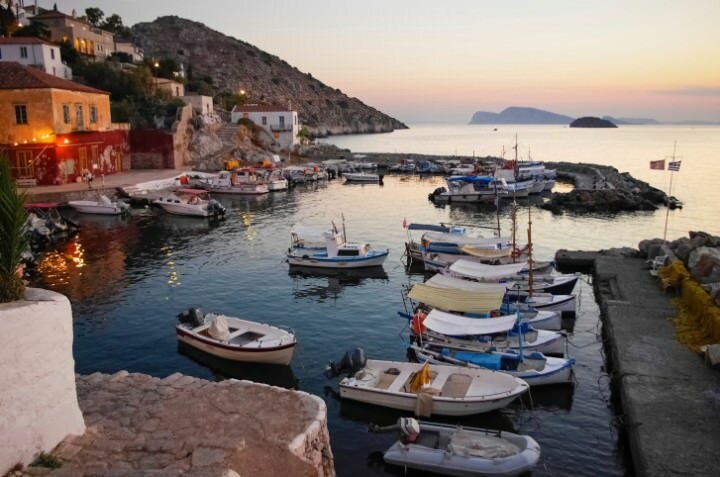 Even though Hydra is easily reachable from Athens for a day trip, that doesn’t give you enough time to truly explore the island. Even though it does attract a tourist crowd the island still has a peaceful feel because there are no vehicles (aside from a few official city trucks).